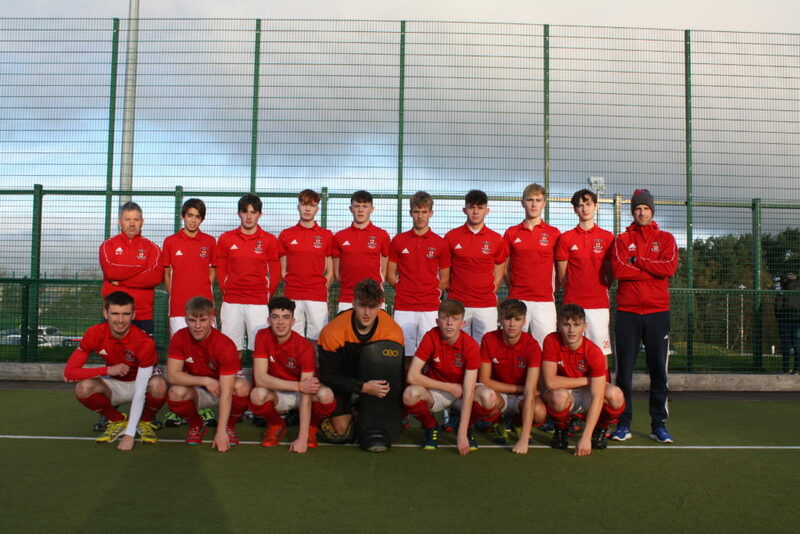 Villiers Senior Boys Hockey side travelled to Waterford last Wednesday to take on the current All Ireland Schools Champions Newtown in the 1/4 final of the Munster Schools Cup. The Limerick side avenged a recent loss to the same opposition in the All Ireland Qualifiers with a 2-1 victory in what was a fiercely contested match between two quality sides that have developed a real rivalry. Villiers got off to a perfect start with Eli Hannon scoring an opportunist goal in the first few minutes to unsettle the host team. The visitors then consolidated their lead towards the end of the first half with a well taken goal by striker Quinten Eacrett. The Villiers defence was rock solid and withstood some late pressure from Newtown. Eventually the pressure counted as the Waterford side converted a controversial penalty stroke through Ben Johnson to reduce the arrears. There was a late chance for Newton to equalise but Villiers keeper Leon Mullally pulled off a vital save to ensure victory for the Limerick side. Villiers: Leon Mullally GK, Sam Lilburn (Capt. ), Bryan Smith, Christian Oggel, Adam Gardiner, Marcus Ryan, Stephen Tutty, Garrett Sparling, Cian Sparling, Eli Hannon, Quinten Eacrett, Christopher Ryan, Kristoffer Yohansson, Guellermo Espinos, Reuben Wheeler. Head Coach: Brian Gray. Manager: George Blackwell.